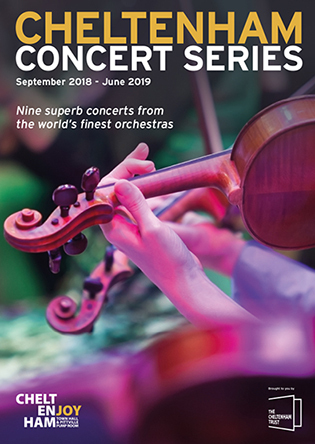 Buy a Series Ticket for all nine concerts from Friday 25 May through our box office and not only will you save up to £60.30, you’ll also be able to enjoy priority booking for the 2019-20 Cheltenham Concert Series with allocated seating across all concerts. Tickets for £10* on Price Band B tickets. New customers on phone or in person only. Save up to £7.50 on single concert tickets. Save up to £7.50 on single concert tickets. Free entry for carers. Proof of eligibility required. All discounts subject to availability and may be withdrawn at any time without prior notice. No person will be admitted without a ticket. One concession/discount/offer per ticket. Concessions do not apply to group discounts. Tickets include a £2.00 ticket commission. New customer discount valid only for first performance.